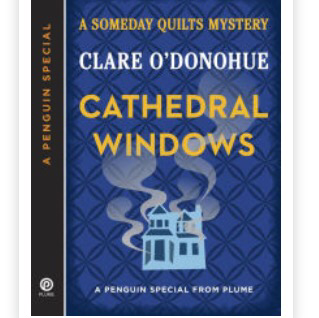 If you are not familiar with Clare O’Donohue’s Someday Quilts series, you owe it to yourself to put these books on your Santa list! A terrific combination of murder mystery and quilting- what could be better? During this busy pre-holiday season, it might be difficult to find the time to read a full-length novel. Clare offers the perfect solution with this novella, which takes place during the Christmas season. This entry was posted in Uncategorized on December 4, 2016 by neonkittyquilts.